TestFlight an Apple product that makes it easy to invite users to test your apps and collect valuable feedback before releasing your apps on the App Store. Supports internal testers: Add up to 25 members of your team who have been assigned the Admin, Technical, App Manager, Developer, or Marketer role to test your app. Each member can test on up to 30 devices. Internal testers can access all of your beta builds available for testing. Supports external testers & groups: Invite up to 10,000 external testers using their email address or by enabling and sharing a public link, which creates an open invitation for anyone to test your app. You can also create multiple groups and add different builds to each one, depending on which features you want them to focus on. 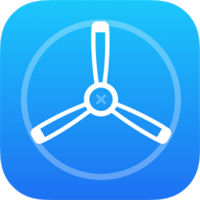 Supported apps: TestFlight supports apps for iOS, watchOS, tvOS, and iMessage. Up to 100 apps can be tested at a time, internally or externally, and multiple builds can be tested simultaneously. Builds remain active for 90 days after upload. Interested in getting official support for Testflight?